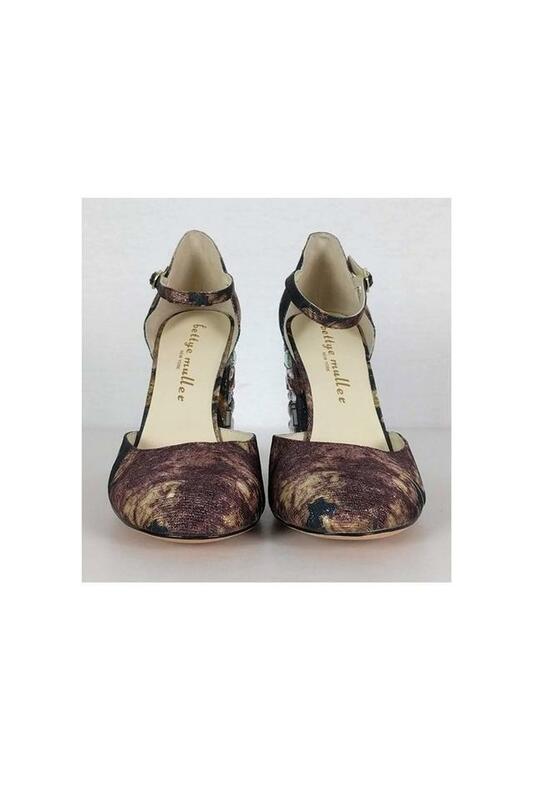 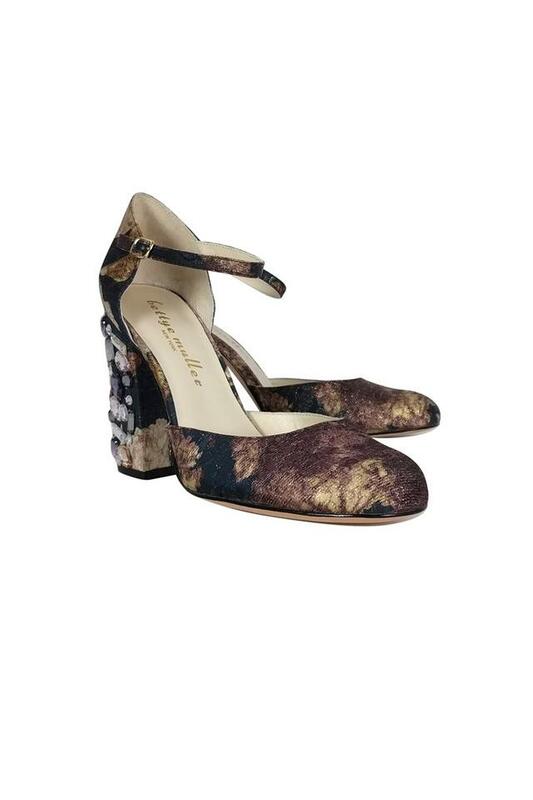 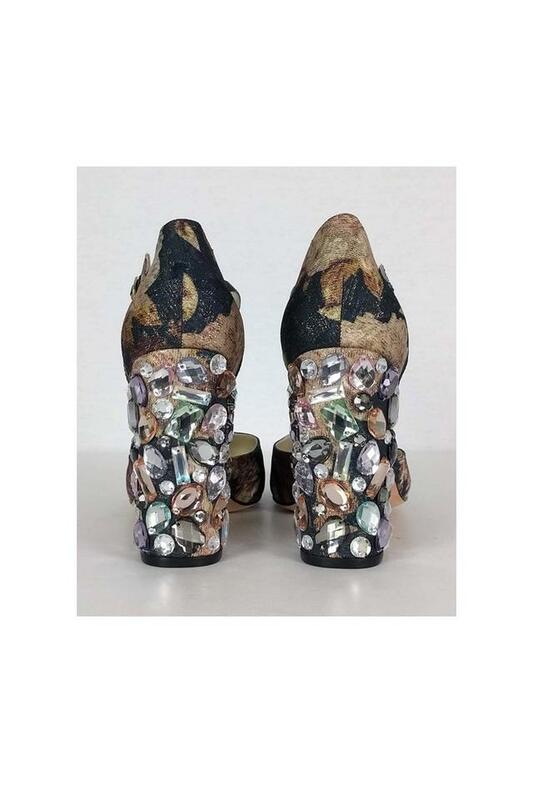 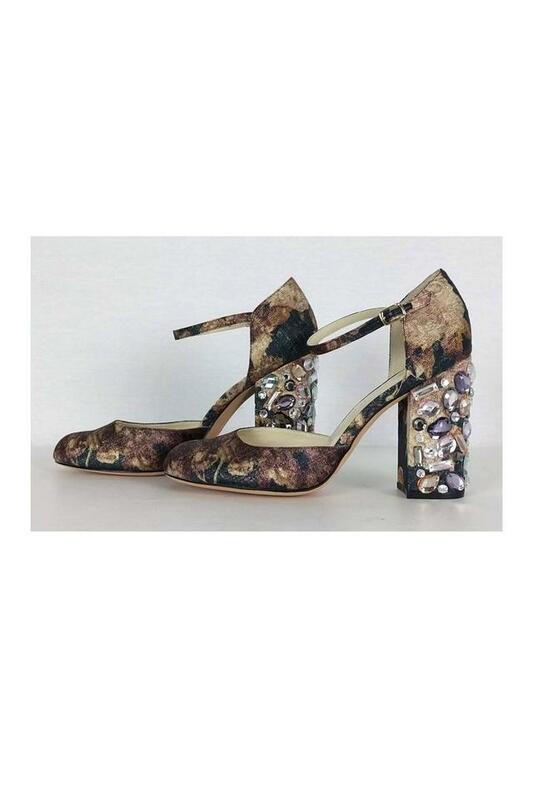 You are bound to make a statement with these fabulous Bettye Muller pumps. They have a fabric upper in rich tones with metallic gold threads. Its blocked heel is covered with shimmering rhinestones. These shoes will pair well with any cocktail dress.